A restorative, deep-conditioning treatment that delivers instant results and is an ideal solution for smoothing hair, eliminating frizz, restoring shine and enhancing natural body. As well, it is an excellent nourishing treatment that can be used alone and/or as a restorative styling product that leaves hair soft and bouncy. Works with all hair types to bring out natural luster and manageability while also making hair stronger and healthier with every use. - Silk Amino Acids: Restores natural moisture balance while adding strength and shine. "After shampooing my hair, I spray in this leave-in product with all the lovely benefits. I also use a styling product for my twist outs that I let air dry. 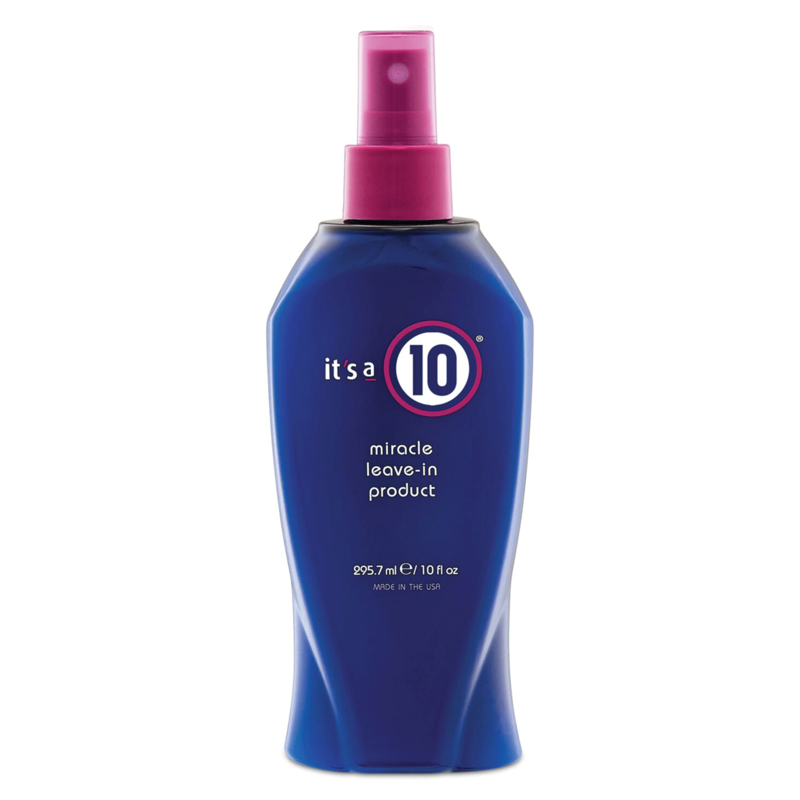 It''s A 10 Miracle Leave-In is perfect for my natural hairstyles. I highly recommend this product. My hair feels stronger." "I use this on my natural hair (type 3c). Adds moisture to my hair. Love this!" "awesome product does exactly what it says"
The inly leave in treatment I will use! "This product is by far the BEST leave in treatment I have ever used! It smells great, easy to use, makes hair soft instantly, easyer to manage, shiney and helps tame frizz too! After every shower. I apply a few sprits to damp hair then brush. I can see and feel the difference when I use it. I sell it to many of my clients and they live it too and cant get enough! Best purchase I ever made. Great job!" "I bought this a few months ago and now I cannot go back. It's my go to leave in conditioner. I tell all my clients with protein, static and over all damaged hair to try this out. Some are skeptical at first, as soon as they get their hands on it, they're sold. My twin who was really apprehensive in the beginning, now promises she will use this all the time, she has seen the results and loved it." "This stuff leaves my hair super soft and silky. Its a must buy for me"
"A great heat protectant and frizz fighter on 4b, 4c hair. Love it and will definitely buy it again." "Makes hair silky and shiny. Applied it to my damp hair and blow dried. I really like it." "This product is my favorite leave-in. Both my daughter and I have naturally curly, blonde hair and our curls have never looked better. I've just recently discovered It's a 10 and have asked myself what took me so long to try it! I absolutely love it. It leaves our hair so incredibly soft and manageable. My favorite ways to use it is on damp hair obviously, but I also love it on 2nd day hair to refresh my curls. I'll never be without!" "I've tried so many leave-in conditioners and this is still my favorite. My hair is stronger, healthier and shinier since I started using it. It's most definitely a 10!" "I have natural curly, frizzy, dry hair. This products works great."